CYWS Hall, Fairgreen, Navan, Co. Meath. The term ‘snakes’ may well be figurative and refer to the religious beliefs and practices of pagans as opposed to reptiles. 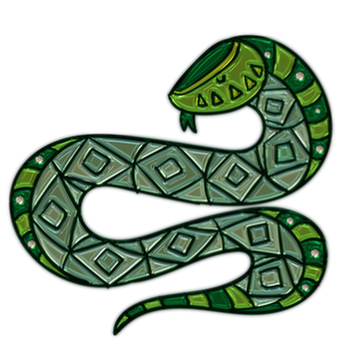 The fact is that Irelands climate is way to cool for snakes to survive plus, as far as we aware - there is not even an auld fossil laying around which would tend to indicate that snakes never existed in Ireland but, we are sticking to our story and credit St Patrick with the banishing of the slithery reptiles. A shady, conniving person who could strike at anytime without warning. Similar to a gorilla in the mist or a leprechaun! 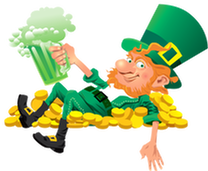 Most associated with St. Patrick's Day across the globe is drinking. However, Irish law, from 1903 to 1970, declared St. Patrick's Day a religious observance for the entire country meaning that all pubs were shut down for the day. Subsequently, this law was overturned in 1970 when St. Patrick's was reclassified as a national holiday thus allowing the beer taps to flow freely once again. in actual fact it is the Harp. one of the few countries in the world that never had any snakes ! Over 30 years ago, some Dublin schoolchildren's voices were immortalised on what is by today's standards - prehistoric sound recording equipment. Each gave their interpretation and accounts of various stories and characters from the bible. This part of he short film is the story of St Patrick as seen through the minds eye of Mary. A heart warming and charming account of the life of the saint.